These capacity-certified relief valves protect against excessive water pressure (from thermal expansion) and steam generated when Btu input controls fail. 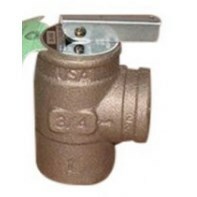 Valves comply with ASME Section IV requirements. Ideal for use with hot water boilers and heating systems.